InspectCam -- sets new benchmark. REMOTE Vision Solutions (RVS), an Australian manufacturer, has introduced an innovation in non-destructive testing (NDT), allowing users to assess the findings from ‘scope inspections by capturing the images in true resolution and colour for inspection and retention. Attachable to any endoscope or borescope instrument, InspectCam provides high resolution and colour rendition that sets a new benchmark for industrial applications that critically depend on high quality imaging and performance. Transfer of captured images is available by CD, USB Memory Stick, USB floppy drive or video recorder for long term archiving and historical analysis. This ensures traceability and repeatability and enables engineers to work individually or collaboratively with colleagues anywhere in the world through email or dedicated communications networks. 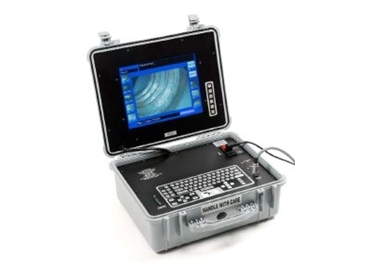 Housed in a rugged case, the InspectCam system includes fully integrated Image Manager software which permits thumbnail or full display modes of both live and off-line images, allowing direct comparison of component history. Captured images can be categorised by capture sequence, plant location or equipment tasks. The InspectCam technology has applications across numerous industry sectors and is in daily use within the energy, commercial aviation and defence organisations. InspectCam provides a simple, yet highly innovative solution to minimising plant disassembly for evaluating maintenance needs that will deliver significant commercial value in maintenance cost savings, reduced equipment downtime, and product warranty resolution support.